Another Zeppelin story today. But this one isn’t about the most overrated band in history aside from the Beatles, it’s about an iPod speaker which looks unique enough to read the following few sentences. 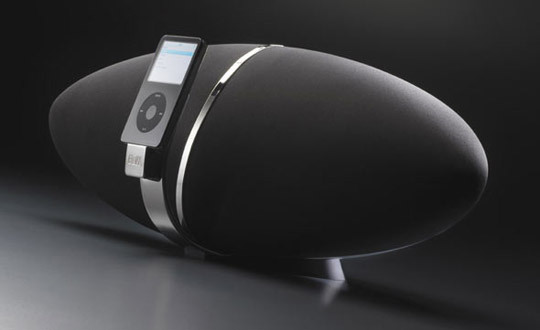 B&W calls it the Zeppelin, presumably because of its shape and not B&W’s affinity for pompous rock bands. Somewhere in there you’ll find a 5-inch subwoofer that’s buoyed by a total of 100 watts of power. Given B&W’s pedigree, we can assume that Zeppelin is a solid. A $600 solid? Your call, I guess.